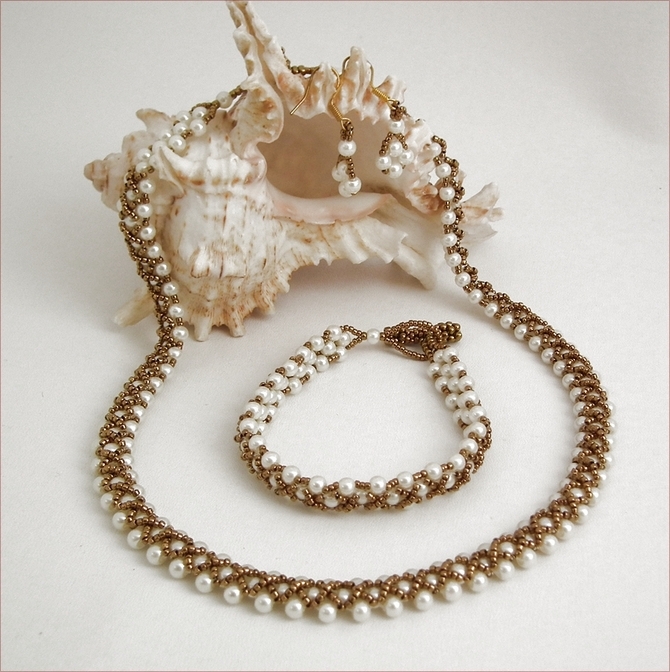 This is a pretty set of necklace, bracelet and earrings using shiny bronze seed beads and tiny glass pearls. 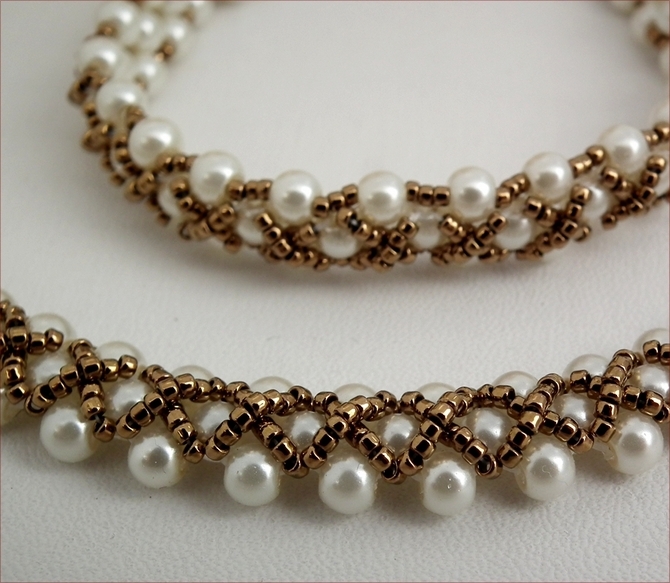 It is designed to be worn with the bronze side facing up but can be worn the other way around, to ring the changes. 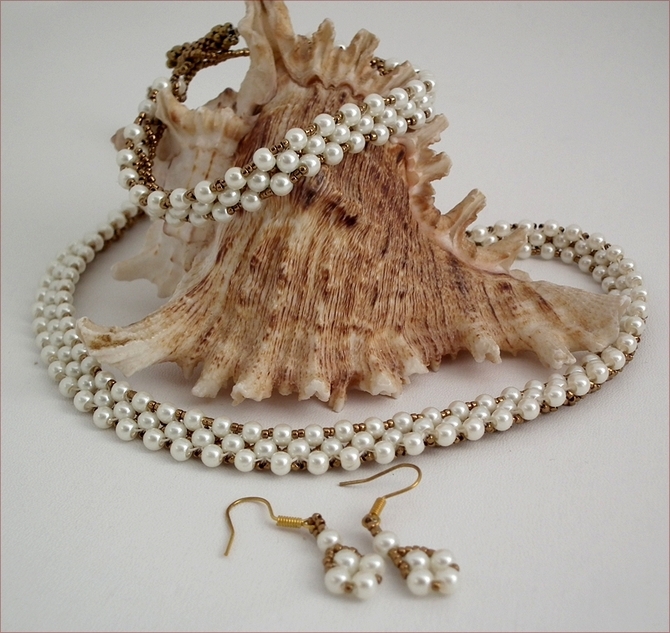 The set comes with a cream gift box, making this a lovely gift for someone who likes to wear matching jewellery and who likes more delicate pieces. 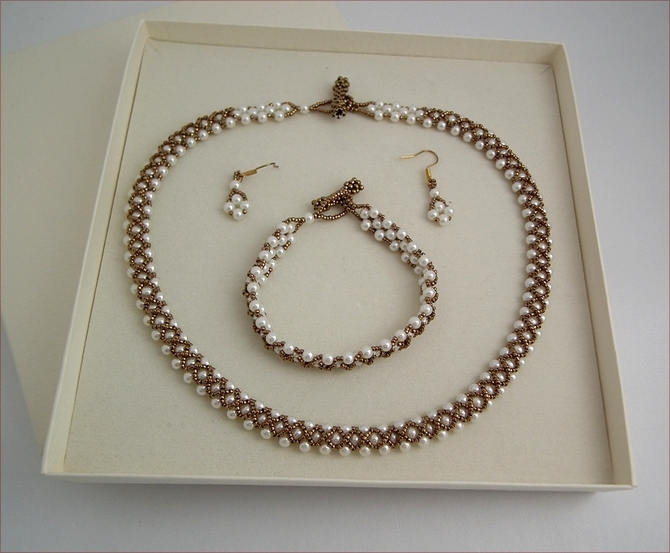 The necklace is 17" (435mm) long, the bracelet is 7" (185mm) long, both with a handstitched toggle clasp, and the earrings have a 2cm drop.